Fun, caring and built on the joy and imagination of a mother’s youngest son, Dr Zigs are a company that are passionate about helping people blow the biggest bubbles possible. 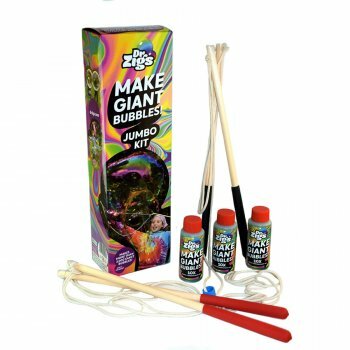 Their many kits make bubble blowing on a massive scale easy to do and tons of fun! 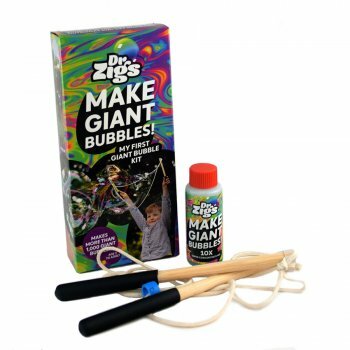 Dr Zigs even holds the Guinness World Records for ‘Most people making giant bubbles with wands’ and Most people making giant bubbles using tri-strings’. Dr Zigs not only dedicate their time to blowing bubbles and getting Guinness world records, they also put their weight behind good causes. They have their own charity called Bubbles Not Bombs that provides bubble blowing kits to children living in war-torn parts of the world and children affected by environmental disasters. Dr Zigs also whole-heartedly supports the charities ‘Campaign Against The Arms Trade’ and ‘Peace One Day’.